From the days of his youth when he first began training, Kancho Ninomiya wanted to bring the true spirit and technique of real Karate to the world. After devoting himself for many years to reaching the top in competitive karate, Kancho Ninomiya won the All-Japan Tournament in 1978. As one of Japan’s most popular champions, he realised that his life in karate was leading him beyond the mat of tournament competition. He returned to the U.S. and rededicated himself to his art, developing and teaching the strategy and technique he believed in. In 1988, Kancho Joko Ninomiya started his own style, Enshin Karate. 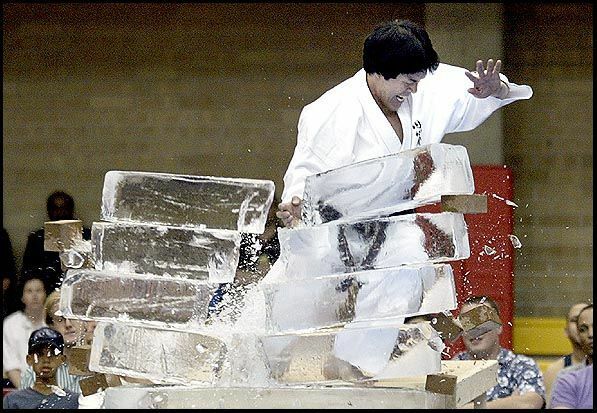 In an effort to bring authentic fighting karate to Martial artists from all over the World, Ninomiya established the Sabaki Challenge, which has become one of the World's premier Full Contact Karate-tournaments. Because he felt that his training for the All-Japan helped him grow stronger both physically and mentally, Ninomiya wanted to offer this opportunity to Martial Artists of all ages. 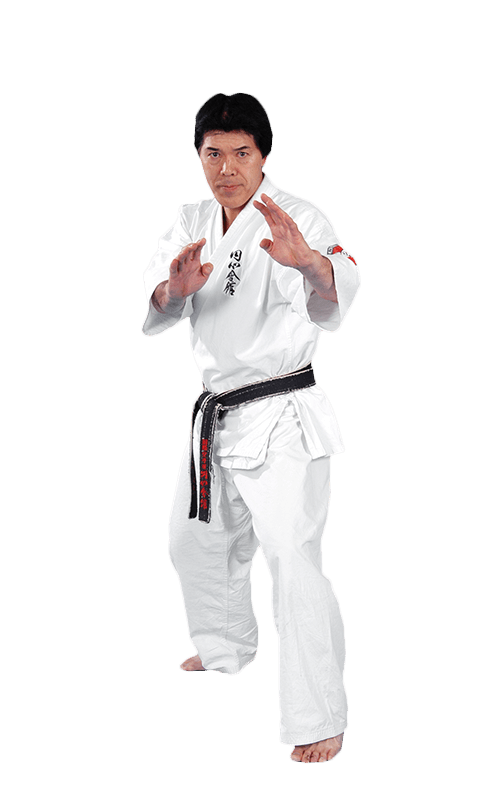 Today Kancho Ninomiya is the Grandmaster of Enshin Karate and its growing network of schools throughout the United States and the world. He feels a strong personal commitment to maintaining a close organisation and offering his logical, practical system of karate to anyone who is interested in what it has to offer. The name ENSHIN KARATE is derived from two Japanese words: en meaning ‘open or unfinished circle,’ and shin meaning ‘heart’ or ‘inner.’ The combination of these two words and their meanings embody the most important aspects of Enshin Karate. For me, above all else, the ‘inner circle’ of Enshin Karate represents the strong bonds that keep us together. The strength of this organisation depends on the ability of each of us to listen to our hearts, and to relate to others through it. The circle is the essence of the strategy and movement in Enshin Karate. The infinite points on a circle represent the unlimited positions we move to and counter from in meeting an opponent. This circular movement that takes one out of a line of attack and into a position from which he or she can counter attack is the basis for Enshin Karate technique. The Enshin circle is an open circle. It is not complete, although it strives to be. It represents the idea that our challenge is never finished, although we are always working towards making it so. This unfinished state is a source of motivation and it reminds us that perfection is to be aimed for even if it cannot be achieved. The middle ring in our logo represents the cycle that is the essence of our training as well as life. In training we begin as a white belt, and move through the darkening belts before becoming a black belt. When we achieve the black belt we begin anew. So too, in life. Each goal we reach marks a new beginning. The Enshin Karate-Do is not the only Way. But I believe very strongly in it. It is my wish to offer Enshin Karate to anyone whose heart and mind believes with me in this Way. Then, together, we can all work to finish the circle.